At a speed of 1500rpm and the latest fan is audible. Therefore, this fan has been designed so that even he has to make do with less tension good. For a start voltage range from 5 to 12V, this fan will be quieter than a gnat, yet the system is still held by a strong air current is very cool! 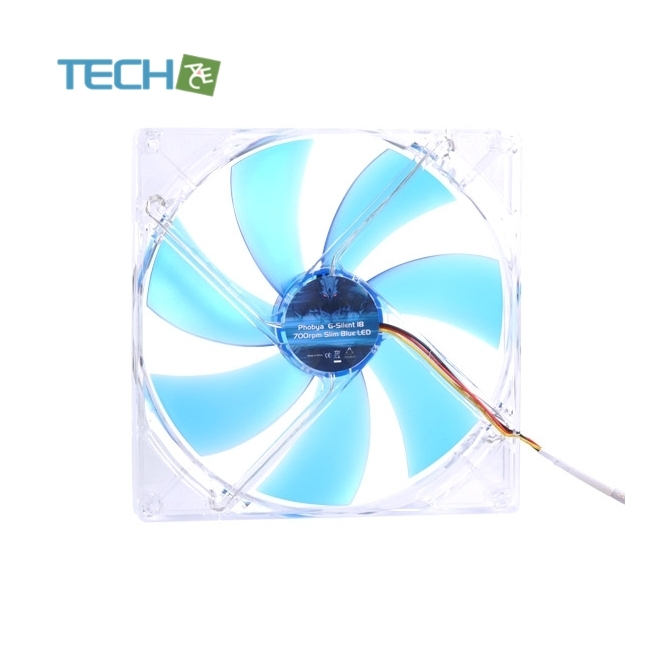 The cable is gesleevet know what's appearance on the fan. The look is another point which takes in addition to functionality, a high weighting. 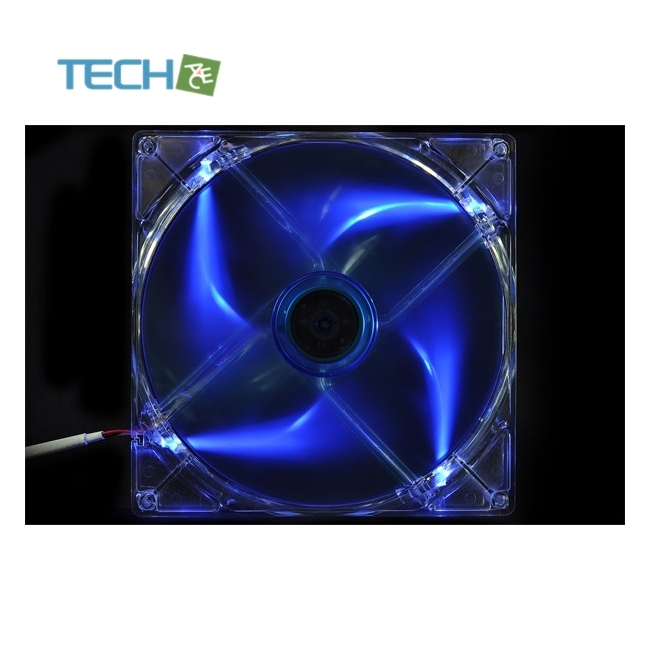 Blue blades with elegant transparent framework, with fully polished look with the red LEDs create a eye-catcher in the system where each user can say to himself: Thisfan is a good choice! Phobya's latest marvel of cooling Technology! A fan of both Silent lovers and friends of the performance-optimized system addresses is an absolute novelty in the cooler segment. But this split and still have moretalent that fans of other pale with fear, "Fear it! The consortium of manufacturers' Phobya "it has achieved through optimum alignment of the blades that increased air flow does not necessarily lead to highernoise levels. The rotor blades are curved in combination with the wedge-shaped alignment of the camp to show the context, the future starts here! The camp combines sash andframe to a minimum point, the drive through coils, ensures that this is almost noiseless, silent fans know what really appreciated. By increasing the speed, here was an airflow rate reached it's so rare!